. يعرف Oaks Hotels & Resorts بالمستوى الراقي لخدماته ولباقة موظفيه، وهذا ما ستجده في منتجع أوكس كلوب. يقدم الفندق فرصة للاستمتاع بشريحة واسعة من الخدمات بما فيها: تسجيل وصول/خروج سريع, تخزين الأمتعة, واي فاي في المناطق العامة, صف السيارات, غرفة عائلية . تنعكس أجواء منتجع أوكس كلوب في غرف الضيوف.تلفزيون بشاشة مسطحة, اتصال لاسلكي بالإنترنت, غرف لغير المدخنين, تدفئة, مكتب هي بعض الميزات الموجود في العديد من الغرف. سواء كنت من محبي الرياضة أو كنت تتطلع لتفريغ عناء نهار صعب، ستجد خدمات ذات مستوى عالي بانتظارك كمثل مركز للياقة البدنية, ساونا, حديقة. إن منتجع أوكس كلوب هو خيار ذكي بالنسبة للمسافرين إلى كوينز تاون، بما يوفره من إقامة هادئة ومرحة. يرجى ملاحظة أن مدفوعات بطاقة الائتمان/المدينة التي تتم مباشرة لفنادق ومنتجعات أوكاس سوف تُفرض عليها رسوم معاملات بطاقات ائتمانية بنسبة 5.1%. The hotel and the room look much older than in pictures on the website. The electric blanket in our room has mild electricity leak - we are waiting for them to respond exactly how much electricity leaked to our bed (and us) and whether it’s harmful to us. This hotel had the perfect view. Oh wow!!. Balcony with picnic table over looking the lake. There was a washer and dryer, which we needed at this point in our trip, so very much appreciated. Full size kitchen. We walked to and from town every day. Probably about a mile, but along a path along the lake, so beautiful walk. You can stop in the park and play frisbee golf along your way - we highly recommend this! You can buy the frisbees in town. The desk staff was very nice and booked us a milford sound trip. No food at this accommodation, but we just walked to the store and picked up some breakfast items and cooked in the kitchen. Nice change of pace if you are on a long trip. All in all I highly recommend this accommodation. Stayed here for one night in a 1 bedroom apartment lake view room. Such incredible views onto the lake! Bedroom/bathroom very clean. Overall room very large but there was a bit of damp in one of the corners, the walls were scuffed and overall it was a little tired. All it needs it a refresh on the interiors! This didn't ruin it for us though as we chose the place purely for the view. All balconies/rooms are very overlooked, but we were slightly out of season so this didn't matter. 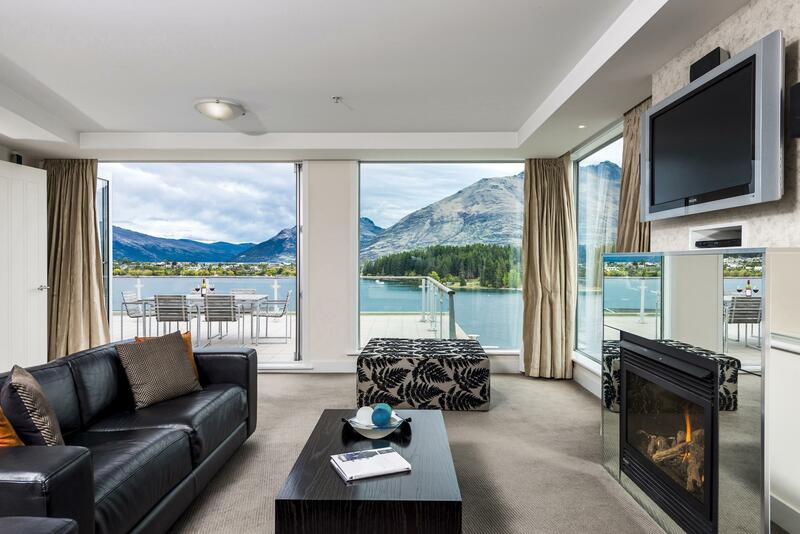 The room was big and clean, good place to stay as the hotel is near different attractions in queenstown. The bathroom is also large and there was a kitchen provided which is good for groups. 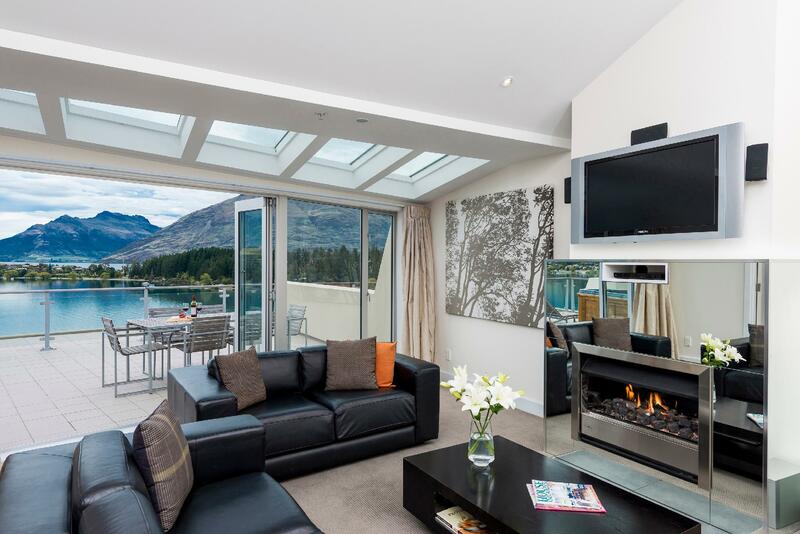 Bed was comfortable and clean and staff was very friendly and introduced us places to visit in queenstown. This hotel is value for money and i will visit again if i am around the area. There was a washing machine provided with dryer which was very useful. Overall the hotel stay was great with beautiful lakeview. This hotel is good and lovely. We like it so much cos the location is good and convenience to tourist hot spot. The hotel is very clean and comfortable plus all the staff are very polite and friendly, even the cleaner also very polite and nice. We sure will stay in this hotel again when we come back here again. Was upgraded to a lake view 2 bedroom and we absolutely love the views. Apartment was fully equipped and we had a great time cooking/eating there. Location is about 10 mins drive from Queenstown central where parking is horrendous but its a tad too far to walk out to. 50mb Wifi free only when you go to the reception during office hours was a drag. This hotel is newly renovated & it's really clean. The room is spacious & the staffs are really friendly. The location is not really in the center of the downtown & you need to ride on the cab to get to the downtown (5 minutes away). We got a really good deal in Agoda and had a great time at Oaks Club Resort. The 3 rooms apartment is very modern and sleek in design. The balcony opens up to a majestic view of the lake and mountains. Sunset and Sunrise is spectacular. The facilities are great in the apartment. Laundry, Kitchen, they have everything. Nice fireplace in the living hall to keep us warm. Staff is friendly and accomodative. Gym is a little small and unimpressive but who cares. No restaurants so we bought so many food to cook and eat. Overall, it's our favourite Hotel Apartment in all our stay in NZ. Would highly recommend to everyone. 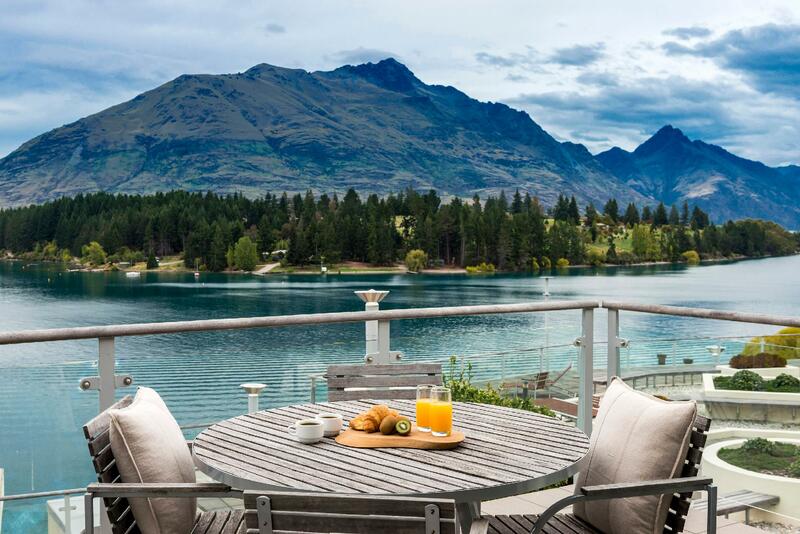 Next to the beautiful lake and mountains of Queenstown. a chic boutique apartments located at a spectacular location. it has a breathtaking views and the rooms are well-designed and spacious; equipped with floor warmer in the toilets; and adequately stuffed kitchen. you will get a good mix of nature and great shopping experience. i strongly recommend you to stay here for a truly relaxed experience. they do charge you extra for kid above 5 years old. Literally the worst experience in my 10-day holiday in New Zealand. Room was unbelievably dirty (foot print on the wall, kettle unusably dirty, stinky fridge, no hair dryer, not so sound-proof, dust on lamps, telephone etc, just to name a few). Tried to change the room but didn't get better. Sent an email of complaint to the Support but no replies. So don't waste your money here. Beside the super helpful staff, there is not much to comment. the room layout is not ideal, with small rooms given the large floor area. No basic amenities like shower cap, shower gel and toothbrush. Far from the city centre. not enough power points. All these small things add up to an unsatisfactory stay with the price we paid.